How do people Who drive around in trucks to different buissnesses and PAY for their scrap do it? 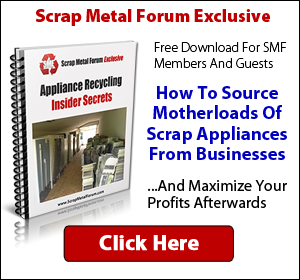 How do They know How much scrap They are paying for? Do They have a scale in The truck? Experience puts a scale in their head. Experience and knowledge are your best tools and both can be obtained at SMF for the small investment of your time. I have found that everything 'I thought I knew' about, I was wrong.